Gum Disease And Gingivitis Cure? Is there a cure for gum disease or gingivitis? Let me start out by suggesting that the cure word is a big 'No, no!" in health care. You will very seldom here health care practitioners talk about a cure. They usually avoid that word like the plague. They usually talk about 'treatments' or protocols2 or something like that. But seldom will you hear the word 'cure'. It's nearly taboo and for a number of good reasons that we don't need to elaborate on here. We will follow the same line in this blog post. We won't talk about a cure for gingivitis or a cure for gum disease. Instead we will talk about what has worked for a lot of people and might work for you too. In addition, I'll give some tips on how you can prove to yourself if it is working or not. So read on. Gingivitis is usually considered the beginning stage of gum disease and when they use the word gum disease, it is slightly more advanced. When they get to "periodontal disease" it's usually a little more serious. But, please understand that these terms are somewhat interchangeable and the definitions are a bit blurry at times. Just understand that these three terms describe the same disease process, just to varying degrees. What Is The Gum Disease / Gingivitis Process? It is essentially anaerobic bacteria run amok. Much revolves around the depth of your periodontal pockets - which your dentist can measure for you. When those pockets are deeper than three millimeters, generally speaking, most dental health professionals will call that a disease situation. Conversely, at 3 mm or less, most dental professionals would consider that tissue to be healthy. When the 'bad' anaerobic bacteria accumulate to sufficient quantities the are able to secrete enough toxic acids (mostly waste products) to destroy your tissue. That would refer to gum tissue as well as the supporting bone underneath. When the bone underneath is destroyed you often see the results as receding gum tissue. Again, when the periodontal pockets are 3mm or less, the bacteria, it is generally thought, cannot achieve sufficient quantities of acidic by products to destroy tissue. Hence you have the cutoff of 3mm as the line between healthy and unhealthy gum tissue. This is perhaps the most important piece of information in this blog post. So, if you can only focus on one place, put that focus here. Whether you utilize my preferred methods for combatting gum disease or some other method, the periodontal pocket depth readings are perhaps your only objective way to figure out if you are improving or not. Because they are a relatively objective way to measure gum health, these numbers empower you. It takes the guess work out and it eliminates your reliance on someone else to explain where you are at. It also reduces someone's ability to scare you into expensive treatments. Furthermore, they inform you on the progress or lack thereof of what you are doing at home to stop this problem. What you do at home is most important and it is the key to knocking this problem out. So, as a recap: When your periodontal pockets depths are 3mm or less, generally speaking, most dental health professionals will tell you that your gums are healthy. When they are more, generally the opposite is true. Find out what your baseline is today and measure what you do from this point forward against that baseline. This will tell you where you are at on your journey and if you have arrived at your destination without being totally dependent on someone else's opinion. If the last few paragraphs didn't make sense, read them again and stew on them a while. It should become evident how important this is at some point. Or bookmark this page and come back and read it again tomorrow and more until you 'get' it. I was in a situation where my dentist and hygienist were pushing me to get a Scaling and Root Planing treatment. This is also know as SRP treatment or 'deep cleaning'. That was at least 12 years ago and I've never had one because the need for it, as stated by my dentist, went away. How did that happen. Well, I had been told by my dentist and hygienist that nothing else would work aside from this treatment. It doesn't really address the root cause and consequently a person often needs the same treatment again in 1 to 3 years. I could not imagine how this could possibly be the 'best thing' for me. I however was stuck for some time. I tried a number of things including various mouthwashes, oil pulling, essential oils and different combinations of things. In some cases, I think some of these may have made the problem worse. I'm not saying those things don't work for some people, but I am saying they did not do the job for me. I did finally find something that works after this lengthy period of trial and error. I kept going back to the dentist and hygienist and they kept telling me what I was doing wasn't working and that I still needed their treatment. That is until: I started using this device. After using that device for several months, I went back and this time I was told by the same dentist, "Whatever you are doing, keep it up. You don't need that treatment any longer". Bang, problem solved - for me. I have since discovered that when used correctly, many other people have achieved similar results to mine. I have heard from a number of people who say this is what keeps their gums healthy and that their dentist is surprised to see their gums in such good shape. I decided to write a book about my experience and share the information that I uncovered about the disease process itself, the above mentioned device and a number of other useful things I found. This book is available in both paperback form and e-book form. 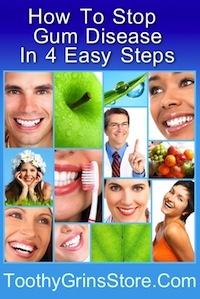 I also have a free guide entitled How To Stop Gum Disease In 4 Easy Steps. You can find that here. No matter what you have read here, you should always be under the care of a good periodontist. They are specialized dentists in gum health and disease and they are the primary professional you should seek out if you have or think you might have gum disease. Mouthwash For Gum Disease - Are There Any Good Ones? There are both prescription mouthwash and commercial mouthwash available. When using either, you'll always want to be under the care of your dentist or periodontist. They should monitor your situation. Always tell them what you are using at home. The dentist can prescribe Chlorhexidine Gluconate - this is very powerful stuff and can ONLY be used for the short term. Generally speaking, no more than 2 weeks tops. One of the side effects is staining the teeth and therefore it isn't something you want to use long term. It really is. Many dental professionals will tell you that gum disease affects about 75% or 3 out of every 4 people! Since gum disease is the number one cause of tooth loss, it is worth paying attention to. If you have it, try your best to control it! One mouthwash for supporting healthy gums is Perio Therapy. It was created by a dentist and contains peppermint oil, zinc and oxygenated compounds. That last is helpful because bad bacteria don't particularly like oxygen. So giving them a lot of it tends to do some damage. I have a several items listed here for you to take a look at. Each contains Perio Therapy Mouthwash. As Crazy as this may sound, a lot of people have gum disease. Actually, a lot of people who have it are completely unaware. This is not good because professionals will generally confirm for you that about Seventy-Five Percent of people have some gum disease right now. What's really mind blowing is that gum disease is, by far, the most common cause of tooth loss. That basically means that there are a large number of people who don't realize they lost a tooth and needed a replacement due to of gum disease! Those implants are mighty expensive. In the US, they may run up to $2000 and more for a single one! Ouch! Of course, you can go 'out of the country' to South America where it is less expensive. But, why not avoid the whole tooth loss thing in the first place? To maximize your chances, you need knowledge. This book will help you to understand, in easy terms, what's going on with this. When your periodontal pockets measure 3mm or less, generally speaking, most dental professionals will say that your gums are healthy! The trick is to reduce your pocket depths! You can get the Hydro Floss + The book mentioned above in this package if you so choose. You can ask questions in the comments below or simply call 1-888-586-6849. PS: Get your free guide on stopping gum disease. 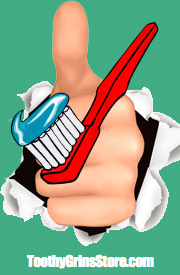 Home Remedies For Gum Disease - Are There Any Good Ones? I thought I would share a little bit about my story today. trying to tell me how bad my gums were. or Deep Cleaning) treatment that I was in danger of losing my teeth. that bleeding gums were definitely a bad sign. was figuring out what to do about it. after using it for a few months, everything had changed. in disbelief! She said, "Whatever you are doing, keep it up.". in retrospect and after thinking about it for a long time. there is anything that works better and I'm not kidding when I say that. So, if you have one, count yourself as among the lucky ones. That being the case, doesn't it make sense to be fully educated about this problem? You can potentially save your teeth with knowledge and application! The first one is short and quick. The second one is longer and more in depth. Both are great for you and every family should have a copy of both. Pregnancy gingivitis is common. Of course, if your gums are bleeding while pregnant, see both your doctor and a periodontist. Make sure it isn't due to something else. But again, pregnancy gingivitis is quite common. Gum disease is a problem that most people face anyway, whether they know it or not. Treating gum disease also accounts for a lot of health care dollars being spent each year. It's believed that the hormones play a big part in pregnancy gingivitis. In addition, the fetus is taking a lot of mother's resources to grow. This makes expecting moms more susceptible to a problem that already affects the majority of people. If you recognize that researchers have been finding relationships between gum disease and heart disease, stroke, and preterm, low birth weight babies, the actual cost of gum disease mounts even higher! I wrote a short guide called : How To Stop Gum Disease In 4 Easy Steps. In it I talk about proper use of the Hydro Floss, how it can help, and how you can verify that your gums are getting healthier with the help of your dentist or hygienist. That's the really great part, you can find out if it is working for YOU or not. And that is the most important part. 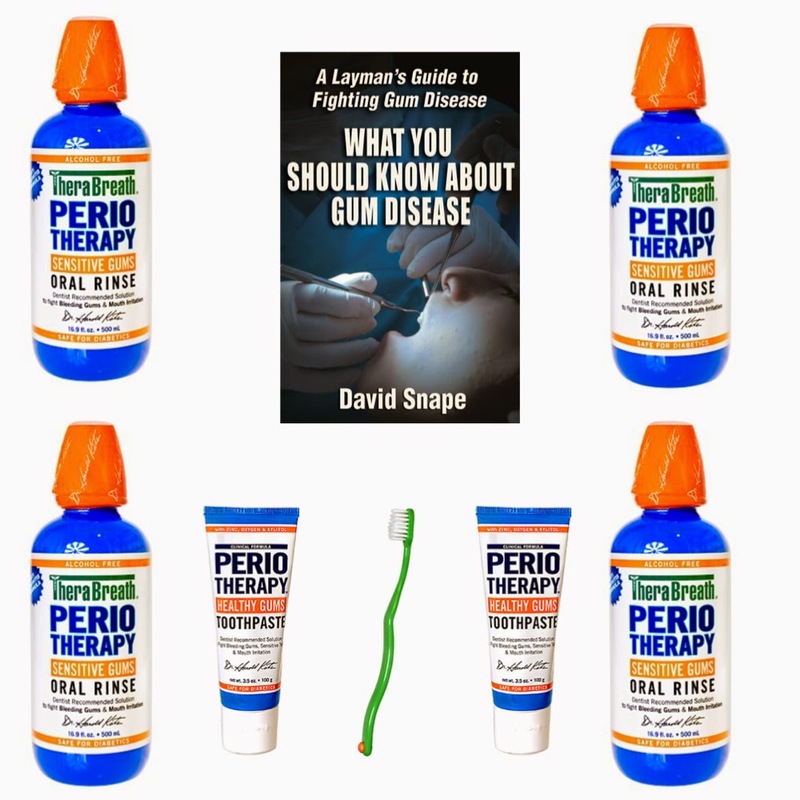 In addition, when you order a Hydro Floss at ToothyGrinsStore.com, you can also request a digital copy of my bigger book: What You Should Know About Gum Disease. If you want the physical copy, you can get it separately, or together with a new Hydro Floss. The Dentist Makes My Gums Bleed And Then Blames It On Me! Or? Yep. Well, let's break this down a bit. I'm afraid I have a little bad news to impart here. Sorry to disappoint you with this news. It's not your dentist's fault. It really is your responsibility and your fault. Sorry to do that to you, but if I can't wake you up now, it's a disservice to you. So I had to say that. If your gums bleed during examinations and cleanings, that is a sign that you have gum health problems. This is just one more indicator that your gums are not healthy. When / if you are able to get them to be healthy again, that probing won't hurt you at all. You won't feel it. I hope I've given you enough clues here to help you understand that this doesn't come from your dentist. This is a problem you have to fix and relatively quickly too. Why Is Gingivitis A Big Problem? Answer: Gingivitis is gum disease. Yes, it is the beginning stage of gum disease and the damage is considered reversible. However, gum disease, periodontal disease, gingivitis, stage one periodontal disease, etc - regardless of the classification, this is the SAME disease process in different stages. Most people are completely unaware that they have gum disease. That's a bummer because gum disease is bad news. 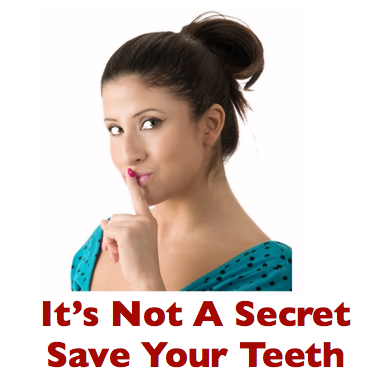 In fact, about 75% of people, as most dental professionals will say, have gum disease. It's a problem that has plagued mankind probably since the beginning of our existence. It causes people to lose teeth. One of the best and more objective ways you can tell is according to your periodontal pocket depths. Generally speaking, most dental professionals will say that your gums are healthy if you are at 3mm and below everywhere. Conversely, most will say your gums are unhealthy when those numbers get above 3mm. This is really the best objective guage you have. It sure beats relying on someone to say that it looks good or bad. This will be the most direct and simplest answer you will hear on this topic. Most people waste a lot of time and words beating around the bush. You simply adjust what you do at home until your pocket depths are back to 3mm and below. Everywhere. Period. Most people can achieve this with work and persistence. The amount of both will vary depending on each person's individual factors. 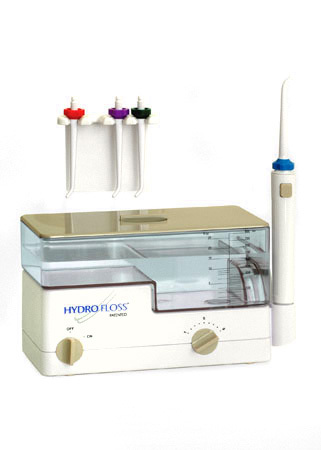 One of the top tools that I think you should consider and that I think every family should have is the Hydro Floss. You can read more about it here. Compare your pocket depth readings as measured by your dentist or hygienist on every office visit. Sound like a plan? You heard it here first! It really isn't an epidemic technically, because it is accepted as a 'normal' human condition. But, really, with 3 out of every 4 people affected, isn't it one? In fact, it might as well be. Gum disease causes tooth loss. If you know you have some, and most people have some, then you should educate yourself and take action. What you do at home for yourself is the most crucial. The fight is a daily one that no one is likely to fight for you. Knowledge is power. Keeping your teeth for a lifetime of good service can be majorly impacted by how much you understand and how much action you take daily. It is not normal, despite that fact that it has been accepted as such for so long. It is a disease process. Don't let it catch you unaware. 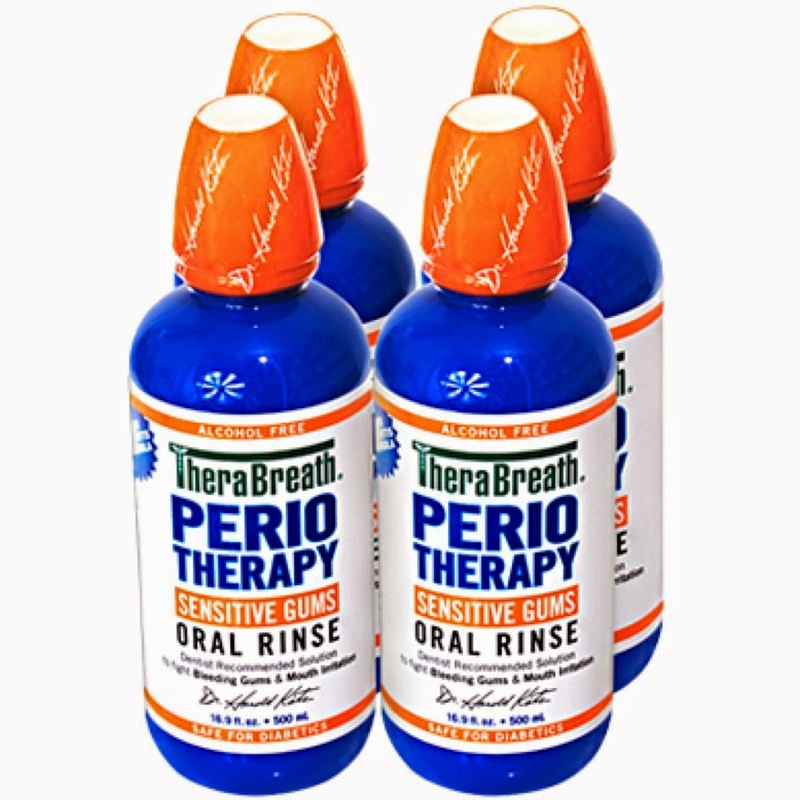 Therabreath has a line of products for fighting gingivitis. It's called PerioTherapy. And you can find those products here. You will see that there is a full line of healthy gum products there. Tip: If you are able to get and maintain your periodontal pockets to 3mm or less, most dental professionals will say that your gums are healthy! Of course, generally speaking, when they are above 3mm, most dental professionals will say your gums are not healthy. Therefore, getting to 3 and below can make a big difference in your dental health and what you spend in the future on dental care. Regular checkups and cleanings are always important. But, what you do at home is crucial. Your dentist can only see you a few times a year. But your struggle to get and maintain healthy gums and teeth is a daily one. Therefore, what you do at home becomes crucial to your dental health success! Don't miss out. This is one of my favorite products for dental health, I use it daily! Just because your gums do not bleed does not mean that you are free of gingivitis or gum disease. Sometimes there is no bleeding present. Other times there is. Never assume you are safe just because your gums don't bleed. Your periodontist can examine you and give you the results. You might find these coupons to come in handy if you visit there. Gums Bleeding While Brushing And Flossing Worries You? It Should! And you should be concerned. Healthy gums should not normally bleed while brushing and flossing. You definitely want to be under the care of a good dentist or periodontist. Your doctor will tell you what your problem is. Most likely, it is gum disease. Doctors also know that it is what you do at home that makes the most difference. You should go to your regular checkups and cleanings. But, the fight against gum disease, cavities and even bad breath is a daily one. If your regular brushing and flossing habits just are not cutting it, you should consider adding something more to the daily mix. Gingivitis And Bleeding Gums - What Are They About? Gingivitis is gum disease. That is the simplest way to put it. Gingivitis, gum disease and periodontal disease are loosely used to describe different stages of gum disease. Professionals may have even more classifications such as stage 1 periodontal disease, etc. The key take away point is that they are all the same disease process in different stages. Gingivitis is the most basic and least progressed form of the disease. In fact, professionals will say that the damage from gingivitis is reversible. This is not the case with later stages of the disease. One can often arrest the progress of the disease at later stages, but the damage remains. For example, receded gum line or loose teeth. With loose teeth, you need to get those looked at by a periodontist right away. ~Loose teeth are not a laughing matter. You should seek professional help immediately if ANY of your adult teeth are loose. Bleeding gums are a classic sign of the disease process mentioned above. Don't ignore gums that bleed. There are a few other possibilities that your dentist can rule out for you. But, the most likely cause is gum disease. If your gum bleed, you are not alone. If you have gum disease of any sort, you are definitely not alone. Dental pros tell us that about 75% of people have some gum disease. Without action, this disease can progress. The progression would, of course, lead to tissue destruction, bone loss, loose teeth and the final stage would be a tooth falling out. That's the progression, but it doesn't have to be that way. It doesn't always happen that way. Taking action with your dental professional and at home are very important. One tool that might help is the Hydro Floss. You simply use it correctly, and let your dentist or hygienist measure the results. That's how you can confirm if it is working for you or not. You might have questions, this is a fascinating topic for me. I don't mind discussing it with you. Call at 888-586-6849. ask for David. Bleeding Gums Are A Bad Sign, It Is Important To Take Action Now. There are many people who mistakenly believe that it is normal for gums to bleed when brushing or flossing. That's actually not the case. If your gums are bleeding, you should definitely be under the care of a dentist or, perhaps even better, a periodontist. You might get your teeth cleaned and checked every 3 months, maybe even every single month. But, what you do every day is going to have the most impact. Since your dentist cannot be with you every day, most of the burden of solving this problem is going to fall on you. Bleeding gums are really not normal at all. Most of the time it is a sign that you have gum disease. You will need your periodontist to examine you and give you a diagnosis. Barring a few other things your periodontist may rule out, the most likely cause is gum disease. You wouldn't be alone though as 3 out of 4 people, according to dental professionals, have gum disease. That's 75% of people! Yet, most people have no idea they have this problem. On the other hand, I would guess that gum disease accounts for billions of dollars just in costly dental surgeries, gum grafts and dental implants alone! I'm going to assume that you have been to the dentist or periodontist and you know you have gum disease. You will want to work with and under the supervision of your doctor at all times. One of the key objective indicators of gum disease are your periodontal pocket depths. Generally speaking your periodontist will consider your gums unhealthy when they are above 3mm. Conversely, most periodontists, generally speaking, would say that your gums are healthy when you have no pocket depths above 3mm. Therefore, your goal is to get to 3mm and below! Nothing will work 100% of the time for 100% of the people, that is impossible. But I have something that worked for me personally and many other people too. That is the HydroFloss oral irrigator. What you do with it is use it twice per day with two full reservoirs (place where the water goes) per use for a solid month. After that, visit your periodontist again and see if your pocket depths have shrunk down. If so, simply keep up the routine. If not, then you have to tweak and alter what you are doing at home until you achieve the desired results - as measured by your periodontist or hygienist. I tried many things, but in the end it was the Hydro Floss that gave me the results I was looking for. Now you know the secret to proving whether it will work for you or not too! You can talk to me if you have questions about whether this is the right way for your or not. Call me at 1-888-586-6849 (ask for David). You can also join my skype group for conversation. Are Your Adult Teeth Loose? Please, if you have any adult teeth that are loose, go visit a periodontist right away. Barring trauma or injury, a loose tooth probably indicates that you have some more advanced stages of gum disease. This ain't gingivitis anymore Toto. Seriously, aside from an injury or accident, adult teeth really should not become loose. The probability is quite high that you have gum disease. Please go to a periodontist for proper diagnosis. Gum disease is a topic that few people bother to talk or think about. That is a shame because it affects about 75% or 3 out of every 4 people - according to many dental professionals. So, why is it that everyone ignores this problem that causes the loss of teeth and the need for dentures or implants? That's a question that I have been trying to answer for a very long time. The truth is, I do not know why people ignore it so much! If you could save your teeth and keep them for a lifetime of good use, wouldn't that be the absolute best? Why settle for dentures or implants. If you want to save your teeth, you need to understand what gum disease is and what you can do to control it and stop its progress. You need to understand and figure out what it takes for you, personally, to make your gums health again. For many, probably most people, it is possible to stop the progress of gum disease and make your gums healthy again. The trick is knowing what it takes for your personally! Because the amount of work required varies from person to person, you need a measure or standard to figure out what is working. You need to be able to determine if you are making progress or not. Without this objective measure, it is just too much like guessing. Fortunately, an objective measure DOES exist. If you learn anything here, this might be the most important factor for you to understand. Generally speaking, most dental practitioners will say your gums are healthy when your periodontal pocket depths are at 3mm or below. 1. What you are doing at home is working or not. 3. When you finally achieve the goal of 3mm and below - everywhere in your mouth. There are two important resources that I want to share with you. Yes, we sell them both here at Toothy Grins Store. You can even get them both together in one package. It is definitely not normal to have adult teeth that are loose. If this is the case for you, please visit a periodontist immediately - if not sooner. This is not a problem you want to 'let go'. If the looseness is due to gum disease (and it likely is), then you do not have much time if you want to save your tooth or teeth. Go see a periodontist today. Tip: Find one that wants to save your tooth / teeth and not one who just wants to pull it / them and give you an implant or dentures! I believe you will find the resource links above useful, you should consider these things carefully. You should make it a goal to save all of your teeth or as many as you can. Artificial things are not a perfect substitute for your real, natural teeth. If you need further information or want to talk further, you can reach me at the above number or contact me on Skype. Gums should not bleed with normal brushing or flossing. If that is happening to you, there is a good chance that you have gum disease. You will want to visit your periodontist for a diagnosis. Don't worry, you are not alone. Dental professionals tell us that about 3 out of every 4 people have gum disease. Bleeding is not always present when there is gum disease. But many times, it is. This is the reason that you want stop it from progressing further. No one wants to lose a tooth or experience an expensive and potentially painful advanced treatment in an attempt to save the gums and teeth. You only have so much bone and tissue supporting the teeth. Protect it as well as you can. It's difficult for people to just go by someone saying that they do or do not have gum disease. So here is something objective you can use. Generally speaking, periodontal pocket depths of greater than 3mm are considered to be unhealthy by many or most dental professionals. On the other hand, generally speaking, many or most dentist will say that your gums are healthy when your periodontal pockets are at 3mm and below. Who takes these measurements? Either your dentist or hygienist. Further more, they can chart these numbers for you and you can compare from visit to visit where you are at. This is the way you can tell if what you are doing at home is working or not. These periodontal pocket depths become important for you to know if you hope to stop the progression of gum disease and get your gums back to a healthy state again. By using the measurement criteria above, in addition to working with your dentist or hygienist, you can figure out what is working for you. What has worked for many people, myself included? It is the Hydro Floss oral irrigator. Is it the right machine for you? Maybe. Very possibly. But I want to help you make sure and feel comfortable that it IS the right choice for you. Therefore, you can call me at 1-888-586-6849 for a no obligation conversation. Don't be shy. There is too much at stake. I'd like to see you keep your teeth! And I am sure your dentist and hygienist would like to see that as well.